In conventional website and application hosting, the hosting company owns all of the equipment and network and is responsible for providing all power and connectivity. Customers rent servers or fractions of server resources in pre-defined plans. This type of hosting was the first – starting nearly forty years ago at the birth of the World Wide Web. A shared hosting plan at a conventional hosting company is still the most utilized form of hosting – largely due to price-point. But it has some significant downsides. In shared hosting plans your website and application will be intermingled with dozens – even hundreds – of other sites and apps with little or no technological isolation from all the others. And shared hosting customers have no control over how the resources in their shared account are applied or the quality of the sites and apps they’ll be sharing space with. If one of those other sites has security vulnerabilities or sloppy code that impacts server performance, every site on that shared server will likely be impacted – stability, uptime, security, disaster recovery, performance, and user experience can all be called into question. Yes, shared hosting is cheap – but that’s it’s only selling point. Due to the risks, these days it’s largely used for only legacy sites and smaller businesses with brochure-type websites that aren’t mission-critical. If your website is a contributor to your business success, we strongly recommend other solutions. Conventional hosting companies may also offer dedicated servers. Generally speaking, dedicated servers are delivered as either managed or unmanaged and as either virtual or physical. An unmanaged dedicated server in one where the customer is provided full access to the server and is responsible for all installations, upgrades, and maintenance of the server-side systems in addition to the applications, databases, and software running on it. A managed server usually includes the management of server-side items as a part of the service. Physical dedicated servers are actual, fully-isolated hardware devices connected to a hosting network. Virtual dedicated servers are physical servers that have specialized software installed that creates virtualized containers. These container isolate segments of system resources from each other – allowing a hosting company to partition a single physical device into several smaller units for different customers. Said another way, virtual servers are like a downtown row house being sub-divided into a triplex – one physical structure is subdivided to house three different renters. Dedicated servers are – by definition – more rigid and not as cost or resource efficient as public clouds. Customers must anticipate peak loads and contract for resources in advance, paying for them even during times when they are not necessary. This less-efficient allocation makes them often have a higher total cost and higher cost per computing unit than the more efficient public clouds. For these reasons and more, a majority of websites and applications that might have been placed in more expensive dedicated servers in the past are now migrating to public clouds (see below). Self-hosting is just what it sounds like – you own and control all aspects of the physical location and the servers used to support and deliver your websites and apps. All of the infrastructure in your datacenter is purchased and maintained by you and you have arranged for redundant connectivity, power, and physical security, etc. You have also provided and configured all the hardware and cabling. It’s quite an undertaking and involves large capital expenditures, so most businesses that opted for private datacenter spaces in the past have shifted away from this model. There are still some edge use cases where it can make sense stand up your own private datacenter, but it’s just not practical in most cases. That said, we still provide the service of architecting and specifying infrastructure for solutions being installed in private datacenters as needed. Colocation is a hybrid model between conventional hosting and a private datacenter. In colocation, a public hosting company or datacenter provides and maintains all of the foundational infrastructure – buildings, power, physical security, and the primary network delivering raw connectivity. Business customers then lease space in the form of equipment racks or dedicated areas – often referred to as “cages” – that house multiple racks. These customers install and maintain their own equipment and local networking gear under the terms of their agreement with the datacenter. Power and bandwidth are usually invoiced based upon a metered billing schedule. Colocation hosting is an important solution for some businesses, especially those using highly specialized computer equipment. A few examples spring immediately to mind. One of those is the financial services industry that needs the physical security, power, and connectivity but has large technical teams and capital expenditure budgets to pay for specialized hardware. The term “cloud” is greatly over-used these days. But cloud technology has some real advantages. And there is a difference between regular “cloud servers,” so-called private-clouds, and the public clouds we are discussing here. We are setting aside those topics because they are not necessarily applicable to deciding “where” to put your company website or application. So, we are going to stick the public clouds as a hosting service. Simply put, public clouds are large datacenters – and even multiple datacenters – that operate as one giant network. 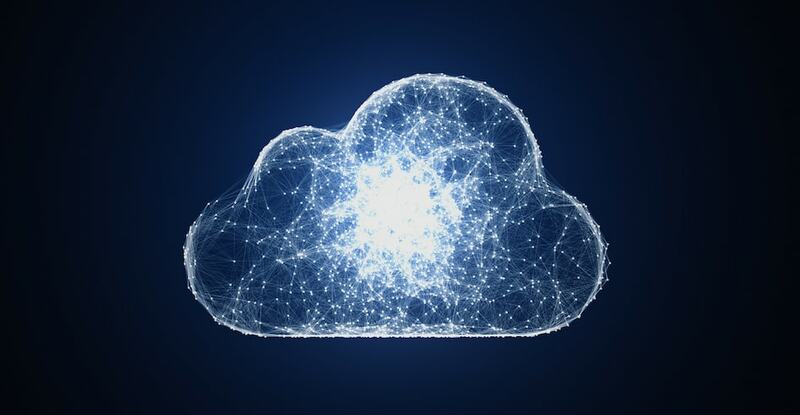 Customers purchase virtualized servers, but the best way to think about a public cloud is as a way of purchasing resources, including processing power, memory, storage, and connectivity. In fact, this is the primary economic driver of the cloud’s success in the marketplace. The focus has shifted so far toward the allocation of individual resources that an entirely new form of cloud configuration has emerged – so-called “serverless computing”. Previously, customers needed to purchase resources in fixed units that aligned with specifically defined hosting plans or as they were made available by computer and server manufacturers. And they had to contract for those units for specific periods of time. In public clouds, individual customers can purchase resources in nearly any level or quantity needed and for nearly any amount of time. Therefore, customers buy and use resources more efficiently – buying what they need as they need it. This innovation makes resource utilization and costs much more economical in most use cases. Key take-away: Although “the cloud” has been enabled by technological advancements like virtualization software and fast data arrays, the real revolution driving cloud’s success is economic efficiency – especially in the public cloud space. Recognizing this, many companies that previously offered conventional hosting, co-location, and even datacenter space have shifted their focus to cloud-type offerings. Some of these services are very good and we have helped our customers take advantage of them when they were the right fit. But it is well established that the current market is being dominated by two key players: Microsoft Azure and Amazon AWS. Other companies – such as Google, IBM/SoftLayer, and Oracle Cloud – have become significant contributors. But Google is arguably falling behind in cloud innovation and the market views IBM Cloud and Oracle Cloud as less “public clouds” and more special use and contract add-on services for special applications and existing enterprise customers. Which Kind of Hosting or Cloud is Best? We have built and supported applications and websites for customers hosted in all four kinds of environments for more than a decade. It’s hard to say which is truly “best” without knowing your specific business case. But we can confidently say that the market has shifted dramatically in favor of the larger public clouds – specifically, Microsoft Azure and Amazon AWS. As these two industry giants compete for market share, the services continue to improve, prices continue to come down, redundancy is built into the architecture, and security has become some of the best in the world. That said, the biggest gains over the last few years have come at Microsoft Azure. Their business model has been radically overhauled to make development and deployment on that platform fast, remarkably efficient, and secure. This is not just us talking. Major tech and financial news outlets are reporting on Azure’s rapid growth. In fact, Azure and related cloud services are seen as a major contributor to the company’s growth and success. Finally – and perhaps most importantly – Microsoft is fully committed to their Azure Cloud roadmap. The incredible advancements in their ASP.NET MVC Core development platform – which is fully cross-platform – and deep investment in open-source software applications are evidence of that commitment. What Is Our Recommended Application and Website Hosting? As we stated above, we have installed and supported hundreds of websites and applications across all types of hosting platforms … and we still do to this very day. We are also aware that some businesses, government agencies, and regulated industries (e.g., finance, healthcare, certain government agencies) have specific requirements that might not lend themselves to public cloud deployments in certain jurisdictions. That said, the efficiencies and economics around the two top public clouds and the addition of new technologies is building an overwhelming case for public clouds for the large majority of the businesses we serve. And while Amazon AWS got off to an early lead in the public cloud market space, Microsoft Azure has not only caught up, but has arguably taken the lead in security, flexibility, and value efficiency. This has caused more and more of our customers to opt for Microsoft’s public cloud and led us to become a certified Azure Solutions Provider so that we can have advanced access to the systems and deploy websites and services on their behalf. All of this convinces us that Microsoft Azure has the inside track advantage now and for the foreseeable future in the public cloud space. Which is why – until conditions change – Azure is our go-to recommendation for business class website and application hosting for a majority of use cases. If you need additional information or help to choose the best hosting or public cloud platform for your business – or need specialized assistance taking your business technology to the cloud – send us a note. We have decades of experience on all of the major platforms and with all of the top hosting companies and we are always glad to help.